Michael Downey worked within the accountancy profession but the fact he had a personality got him thrown out. Someone suggested that Michael attempt stand-up comedy himself and Michael decided to try it out and see could he do it. It turned out he could and in three short years he’d given up his van driving job and had become a full time stand-up comedian. He got to the BBC & the “So You Think You’re Funny” finals alongside Alan Carr, Russell Howard & John Bishop. Following this he became a full time stand up but three months into his new occupation he was involved in a major car crash. After a long road to recovery Michael has the confidence to get back up on stage. 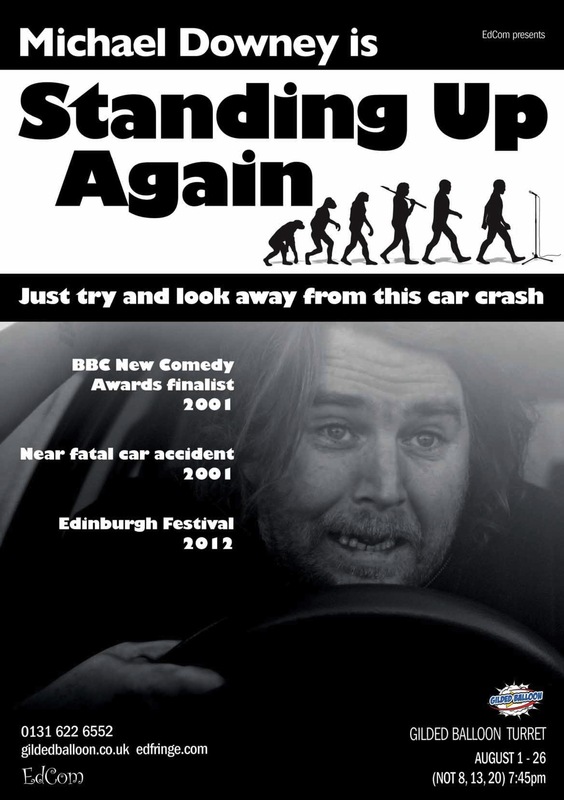 Now He has gotten his comedy legs back, he has decided that this year he is going to take his debut full length solo show to the Edinburgh Fringe.